Nicola is a third-year Bachelor of Management student majoring in Leadership and Organization with interests in Human Resources and Social Media. 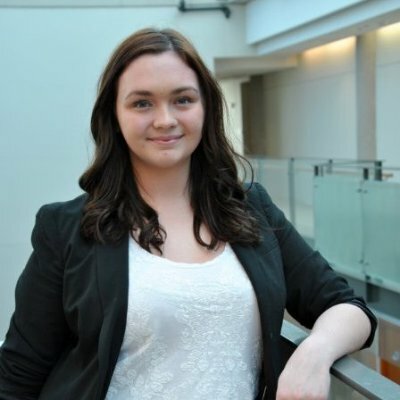 She completed her work placement with Techsploration in the summer as their Resource Management Project Coordinator. Below, Nicola discusses how the C3 Mentoring Program helped her advance and achieve her career goals. “I heard about the C3 Mentoring Program though Management Career Services’ e-mails and felt it was an excellent opportunity to be able to work for a local non-profit while receiving my own mentorship. I was lucky enough to work at Techsploration, a non-profit that focuses on exposing young women to STEM (science, technology, engineering, and math) careers. The C3 Mentoring Program not only allowed me to work full-time during the summer, but gain valuable presentation, research, and communication skills that I have used in my classes and will benefit me in my upcoming internship. I also received a mentor, Tricia Keegan, who is the Facility Manager for Emera Energy Rhode Island. She was a valuable resource and I am thankful I had someone in her position to provide advice and answer my questions. As a third-year Management student participating in the internship component of my degree, the C3 Mentoring Program allowed me to have a taste of what my internship will be like. While working at Techsporation, I was able to discover a cause I’m passionate about, all while expanding my professional network. Experience the value of building your network and advancing your skills by becoming a part of the C3 Mentoring Program! For more information on how to apply, please visit our website and download the informational handout. John McNally is a Bachelor of Management student majoring in Environment, Sustainability and Society. 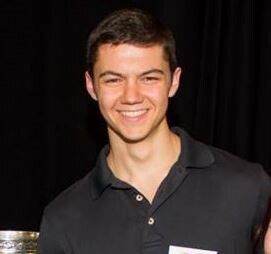 As a participant in the C3 Mentoring Program, John spent the summer working at Phoenix Youth Programs, a non-profit organization that helps youths in need, with guidance from his corporate mentor from Emera. John talks about the value of his experience with the C3 Mentoring Program. “The C3 program was an opportunity to gain valuable professional experience while making a difference in my community. My work with Phoenix Youth Programs was fast paced and varied, allowing me to gain real world experience while developing projects and learning new skills. With a project set ranging from strategic visioning, developing fundraising campaigns, creating marketing materials and event planning to name just a few, the organization gave me experience in a range of relevant areas of business. In addition to working with Phoenix, I had the opportunity to develop my professional network by pairing with a corporate mentor who works for Emera. She not only helped me gain new insight, but provided an invaluable voice of experience as I encountered new challenges in my placement. Her guidance allowed me to better contextualize and frame issues as they arose. I was even given opportunities to meet members of the team at Emera and develop contacts that I may work with in the future. Diversify your work experience and professional network while making an impact in the community through a summer work term with the C3 Mentoring Program.